Blast away the winter blues with a night of chilli and tequila, and auction of promises, at the village hall on Saturday 26th January. 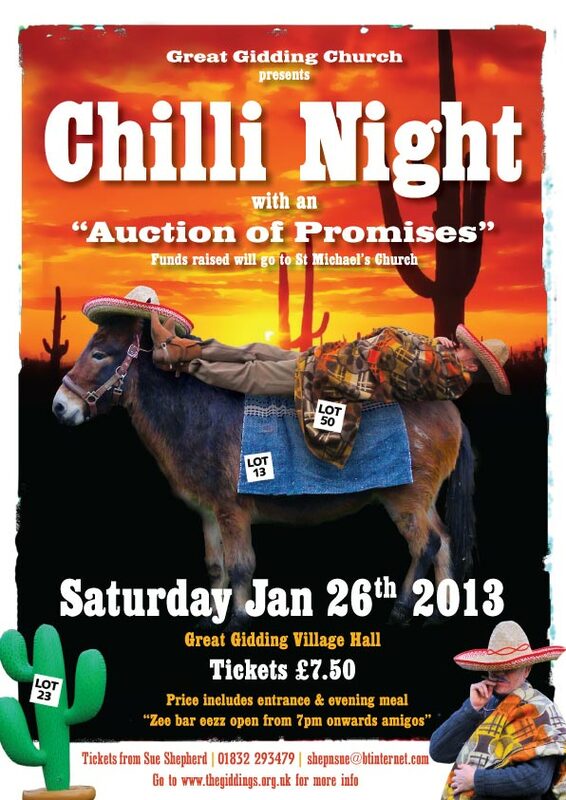 The bar opens at 7pm, followed by a chilli meal (mince or veggie option if you prefer), and then the bidding begins! In aid of St Michael’s Church.